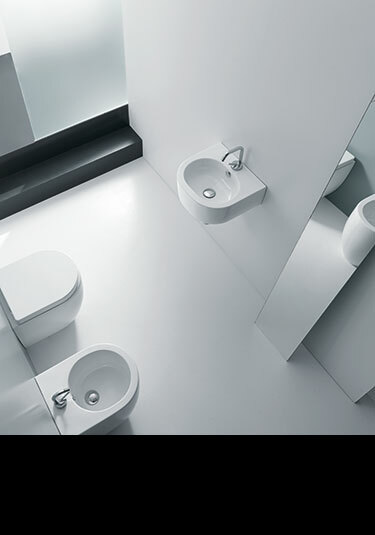 A unique compact bathroom suite collection designed for small bathrooms, ensuites and cloakrooms, which are all areas that require space saving. Included are little toilets, wash basins and bathroom sinks, all with small wall projections as well as short freestanding baths and built in little baths made in steel. Our small bathroom suite range has been specially selected for being little in projection, therefore ideal for space saving and compact areas. Whether you require a cloakroom suite or smaller toilets and basins for ensuite or bathroom areas, we will be able to supply design led and luxury ceramics to produce a stylish area. 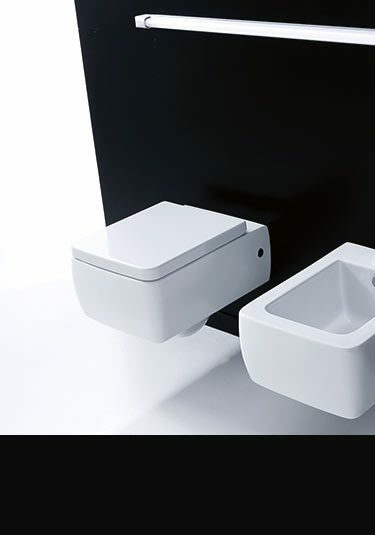 A designer space saving wash basin that is unique with its tear drop design. Available in 2 sizes, both only 270mm deep. 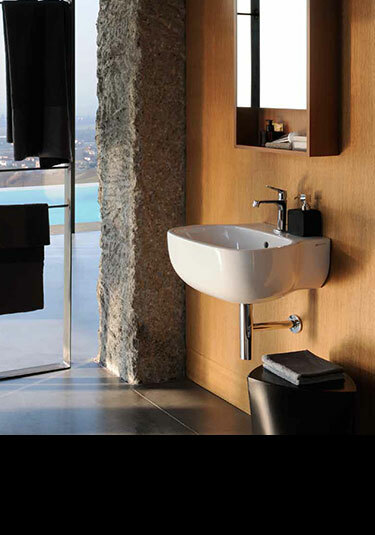 This stylish wall mounted washbasin is available in 2 size choices. 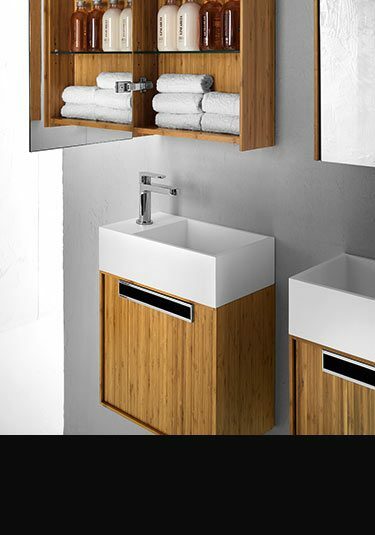 The smaller is ideal for cloakrooms and the large for small bathrooms where space may be an issue. 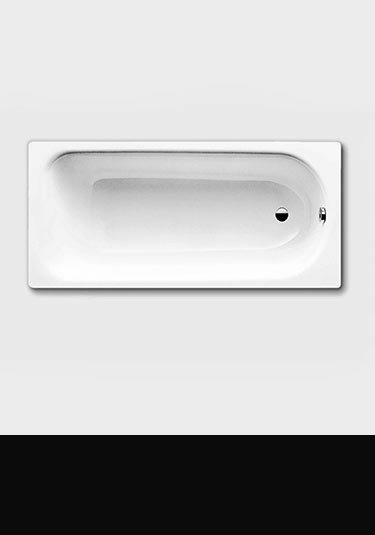 Ideal for smaller bathrooms this wash basin has a 440mm wall projection, but still gives a good internal depth and dimensions that many small basins do not possess. 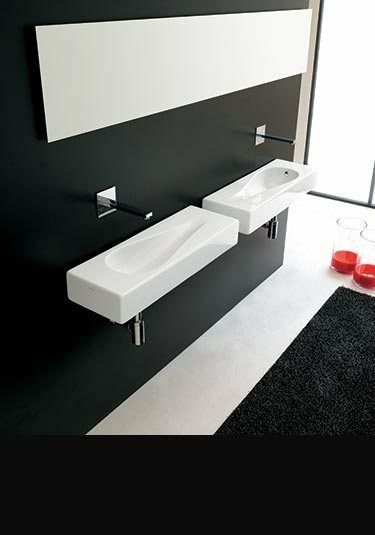 Small wall hung bathroom furniture with a counter top basin, is specifically designed for small bathrooms, cloakrooms and ensuites. 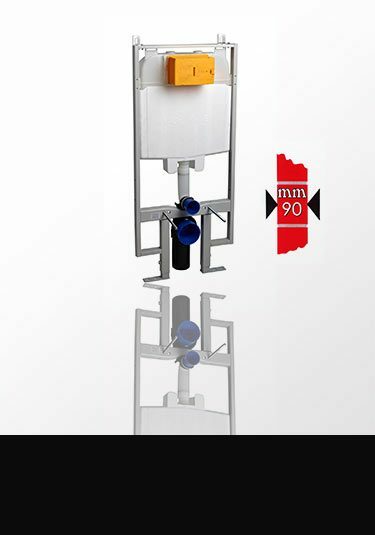 Available in 2 compact wall projection sizes of 250mm and 450mm. 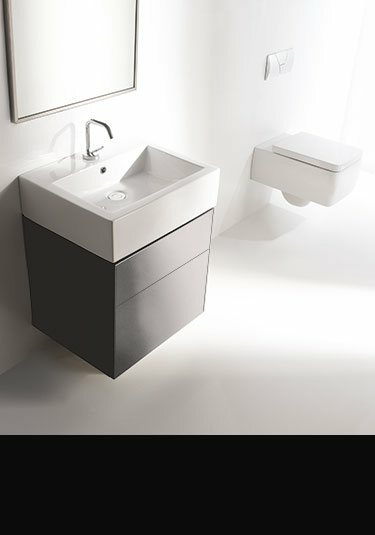 This small storage unit with a matt washbasin is ideal for small areas where lack of space and storage is an issue. 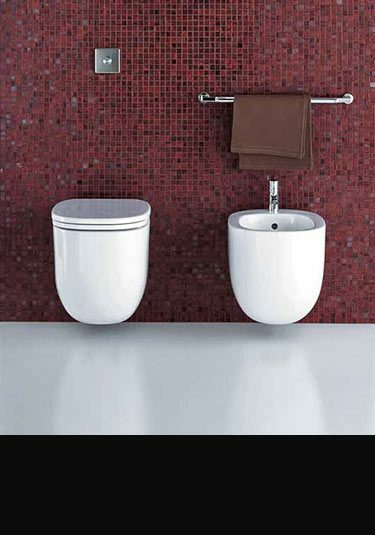 This designer toilet is wall mounted and is available in 2 compact sizes. 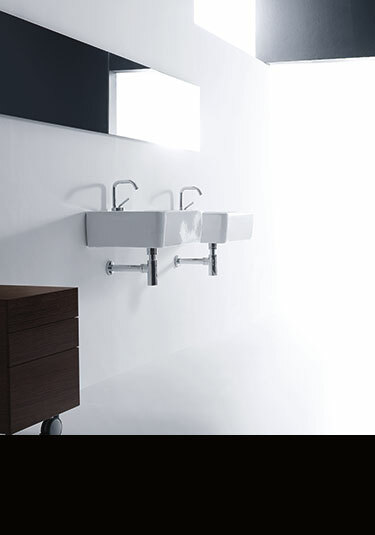 The first has a wall projection of 510mm which is ideal for bathrooms on the smaller size and a 450mm wall projection which is the choice for ensuites and cloakrooms, where size is very much the main consideration. 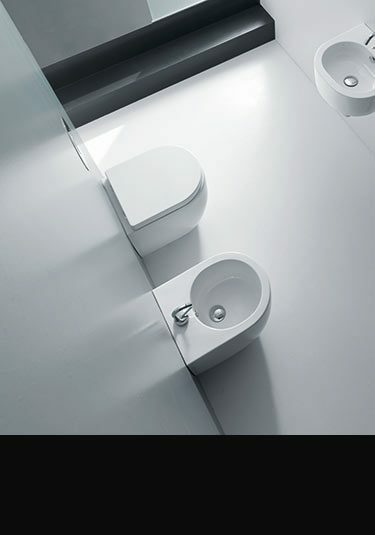 A minimalist contemporary toilet with sleek wall mounting is only 500mm in depth. Can give designer styling to smaller bathrooms and ensuites. Includes soft closing seat. A compact back to wall toilet with a small 470mm wall projection. Designed and manufactured in Europe and supplied with soft closing seat. 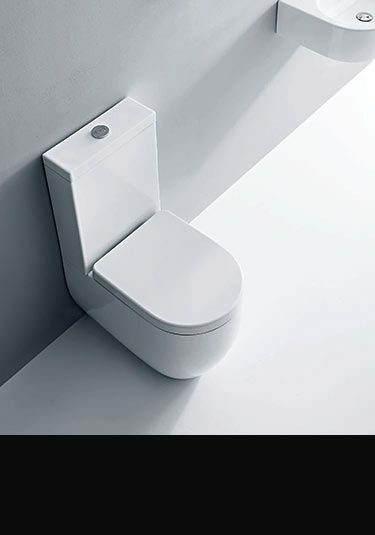 A smaller designer toilet that is wall mounted. Designed and manufactured in Europe this compact toilet has a 500mm wall projection and is supplied with a soft closing seat. A wall mounted toilet that is on the larger side of small. 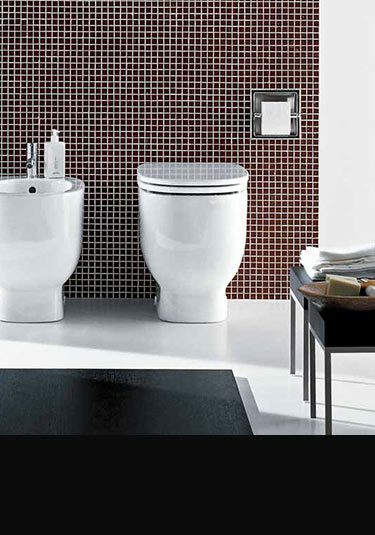 This designer toilet is ideal for smaller bathrooms where compact helps but is not the main requirement. 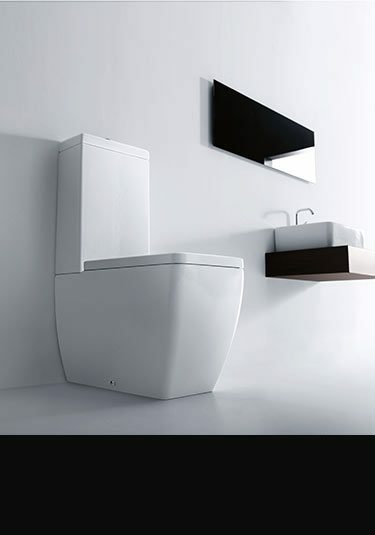 This back to wall toilet is on the larger side of small and is ideal for bathrooms and ensuites where space saving is helpful to the design but not paramount. 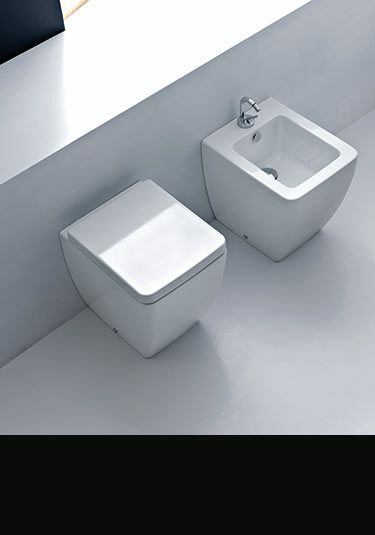 A small designer toilet that has back to wall styling with stylish space saving dimensions of only 460mm. 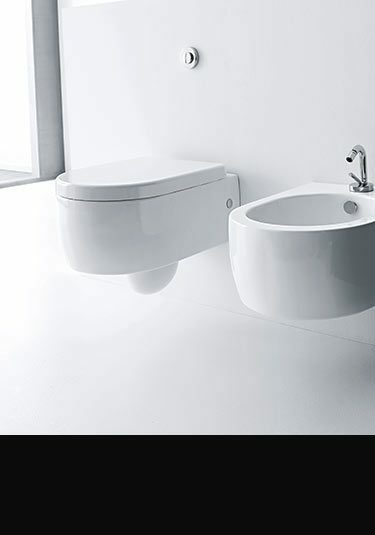 Price includes soft closing seat and this compact toilet is European manufactured. This 1500mm freestanding bath is designed for smaller bathrooms in mind. 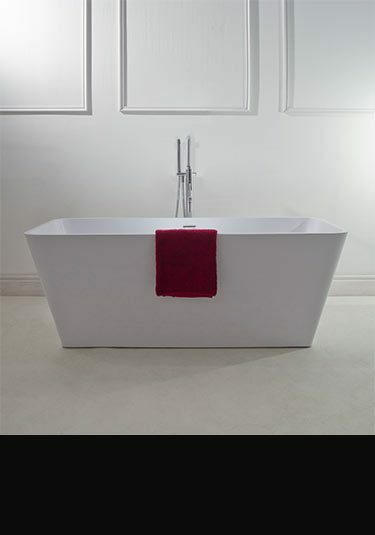 Each stand alone bath is made of superior stone resin which is rigid and easily outperforms acrylic and cast iron. Available in gloss white and a choice of outer colours, we also offer an air spa system which is unique for freestanding bath designs. This lovely quality square styled small freestanding bath is only 1500mm long and makes an ideal choice for smaller and contemporary styled bathrooms. 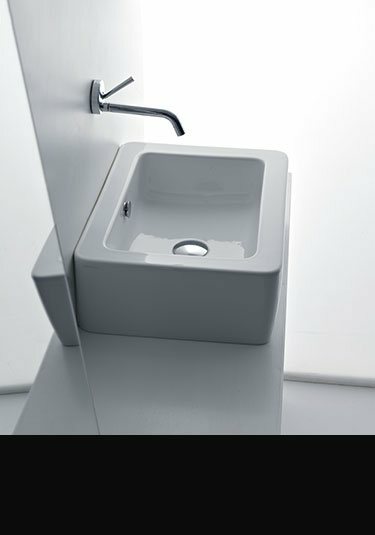 Supplied in gloss white as well as available with different coloured outside finishes this small stand alone bath can also be supplied with an air jet spa system for relaxing bathing. 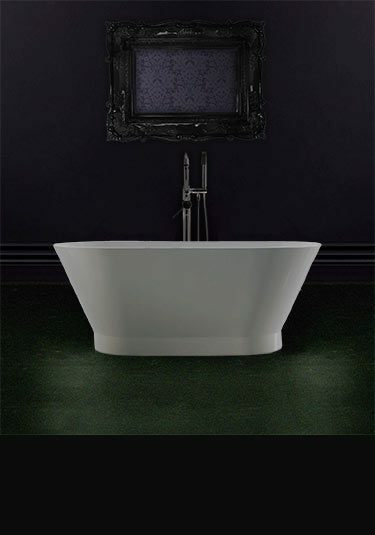 Made in a rigid stone resin which is the superior material to acrylic and cast iron baths. Livinghouse has collected together several compact bathroom suite ranges that are design led in the latest contemporary styling. Selected for their small dimensions and with compact wall projections, these smaller bathroom suites are not just functional but still look great. All the ceramics are made in Europe and in the latest space saving styling. 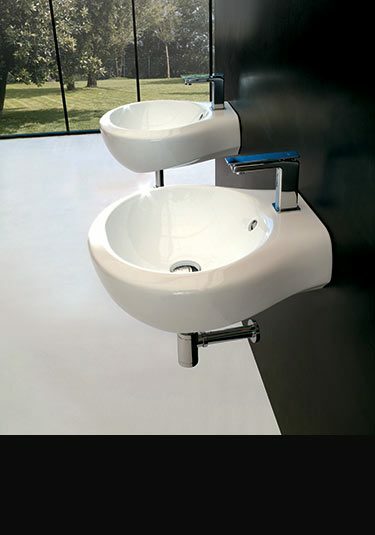 This sanitary range is ideal as a cloakroom suite and for producing stunning ensuite bathrooms, where both areas tend to be on the smaller side. 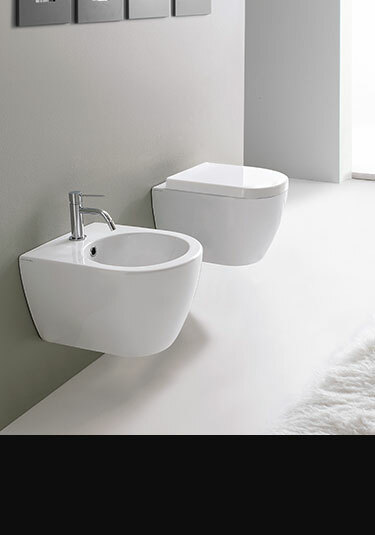 Our small bathroom suite collection includes lovely looking wall hung basins with wall projections starting at only 250mm, we have contemporary styled wall hung and back to wall toilets with wall projections of only 460mm and a combined toilet and cistern with only a 600mm projection. If you want a small luxury quality or designer led bathroom in the latest contemporary styling our space saving bathroom ranges could be the one for you.